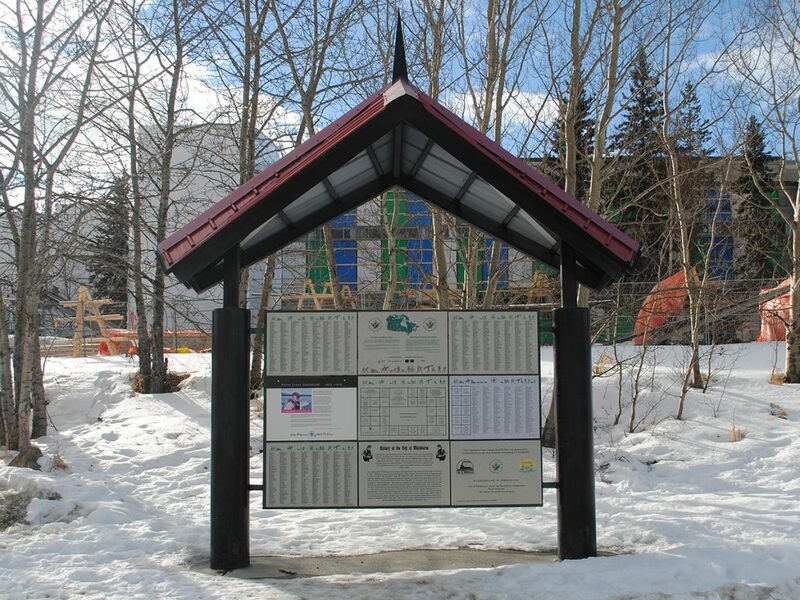 The Whitehorse Trans Canada Trail pavilion is an eighteen panel design, located on the Yukon River waterfront at Rotary Park, right behind the legislature building. The Watson Lake Trans Canada Trail pavilion is a four panel design located near the Alaska Highway beside the Northern Lights Centre. The Mayo Trans Canada Trail pavilion is a four panel design located on the beautiful grounds of the Binet House Museum in the centre of the town. The Dawson City Trans Canada Trail pavilion is also a four panel design, located at the south end of the dike on the historic Yukon River waterfront. To make a donation to the Trans Canada Trail visit https://thegreattrail.ca/give today! – Your money goes to directly to supporting the Trans Canada Trail. – Trans Canada Trail donations are tax deductible. – You can also choose which territory or province your trail donation goes to.